Click here to update your Instant Connect information! Instant Connect is the automated call/email system Jonathan Alder schools use to get you important updates and information from your child's school. Volunteer to be a Chaperone here! complete a background check. Once you submit your information online, please notify the building secretary so the submission process can be completed. Your background check will not go through unless you notify someone in the office that it is waiting in the queue. Thank you! **Please contact the building administration if the fee associated with this screening is preventing you from chaperoning your child’s off-site field trip. ProgressBook is the gradebook system used in the district. MyPaymentsPlus.com is your one-stop site for paying school fees and adding lunch money to your child's account. 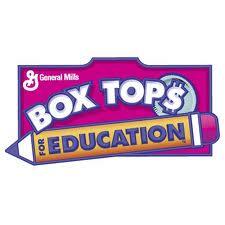 Box Tops for Education has helped America’s schools since 1996. You can earn cash for your child’s school by clipping Box Tops coupons from hundreds of participating products.